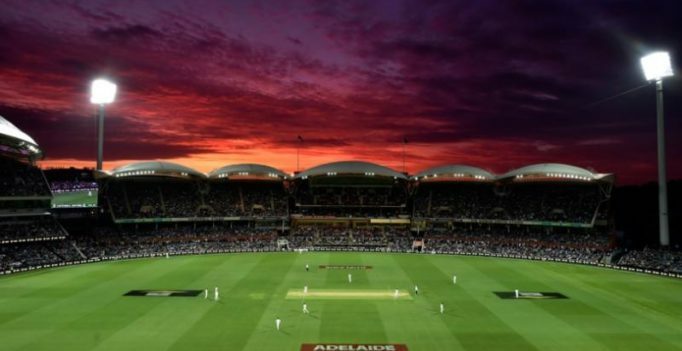 Sydney: Australia and England will meet in the first day-night Ashes cricket test at the Adelaide Oval in December 2017. Cricket Australia on Tuesday confirmed the schedule for the 2017-2018 series, indicating a new 60,000 seat stadium in Perth will likely host the third test instead of the traditional WACA Ground. The first test will be played at the Gabba in Brisbane, beginning on Nov. 23, and the second test played under lights in Adelaide from December 2. Keeping to Boxing Day tradition, the fourth test will be played at the Melbourne Cricket Ground, starting Dec. 26, and the final test at Sydney Cricket Ground from January 4. Cricket Australia chief executive James Sutherland said the Perth test had been moved back to mid-December to offer the best chance for the new Perth stadium to be completed. The full Ashes series will also start later than usual to allow at least three rounds to be played in Australia’s domestic first class competition before the first test at Brisbane. At the conclusion of the Ashes tests, Australia and England will meet in a five-match one-day series starting at Melbourne on Jan. 14, then a Twenty20 tri-series jointly hosted by New Zealand and Australia. “We recognize how big the Ashes is for both home and traveling fans and the early announcement of the schedule for this series will allow fans here in Australia and abroad to plan their Ashes summer,” Sutherland said.